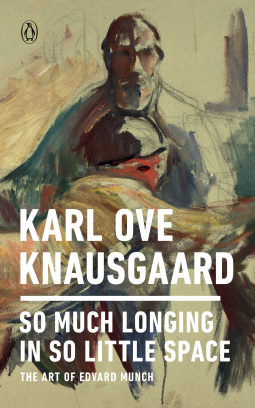 In So Much Longing in So Little Space, Karl Ove Knausgaard sets out to understand the enduring and awesome power of Edvard Munch’s work by training his gaze on the landscapes that inspired Munch and speaking firsthand with other contemporary artists, including Anselm Kiefer, for whom Munch’s legacy looms large. Bringing together art history, biography, and memoir, Knausgaard tells a passionate, freewheeling, and pensive story about not just one of history’s most significant painters, but the very meaning of choosing the artist’s life, as he himself has done. Including reproductions of some of Munch’s most emotionally and psychologically intense works, chosen by Knausgaard, this utterly original and ardent work of criticism will delight and educate both experts and novices of literature and the visual arts alike.